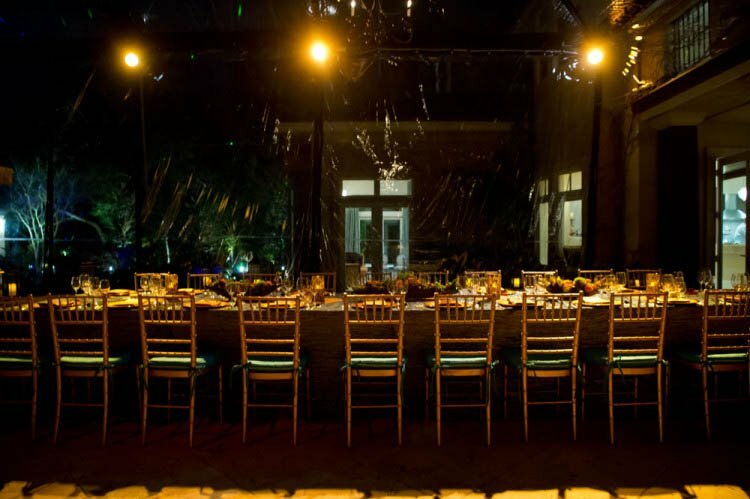 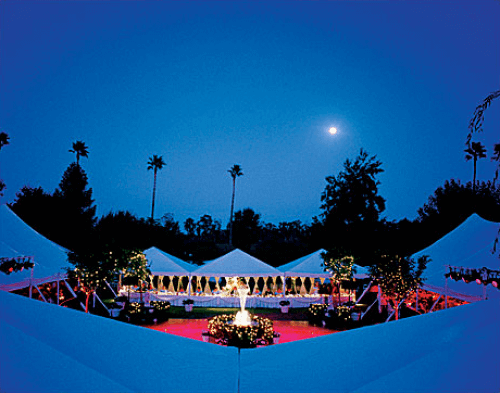 Various types of tenting encircling a dance floor and decorative greenery create an intimate yet spectacular indoor/outdoor venue. 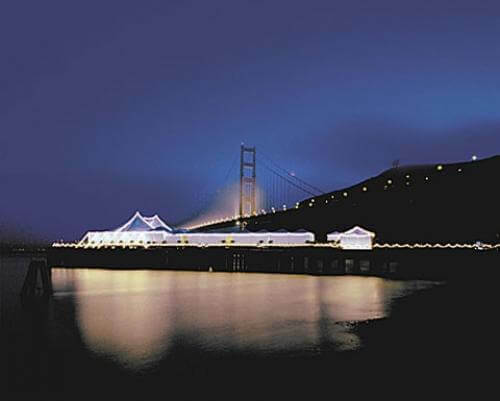 A Sausalito Pier is transformed into an evening of breathtaking views. 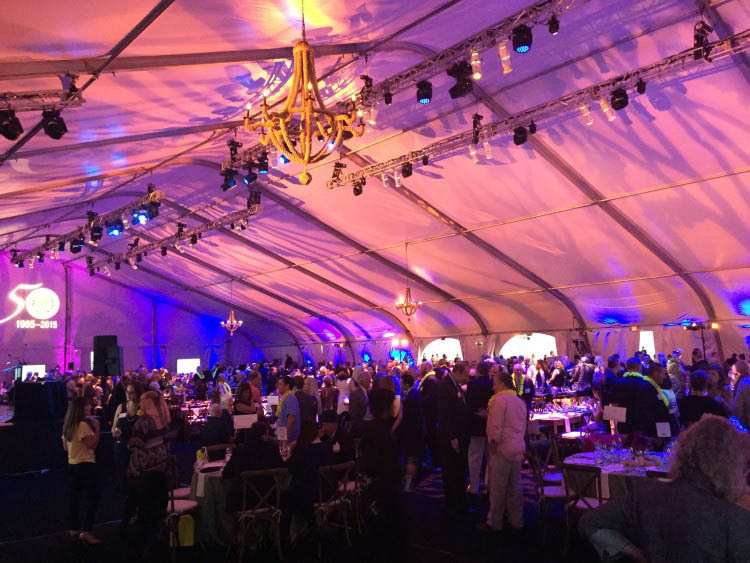 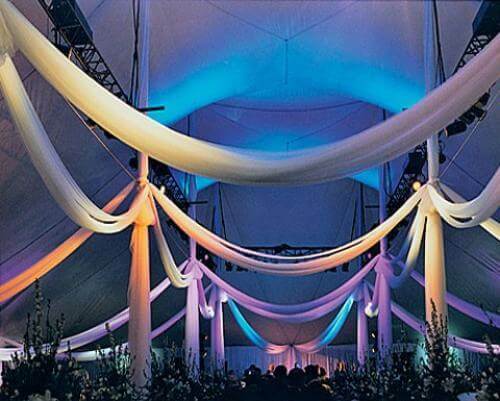 Yards of tulle swing gently from pole to pole as choreographed light beams dance across the ceiling creating a rainbow of colors in this 80’ x 120’ Genesis tent. 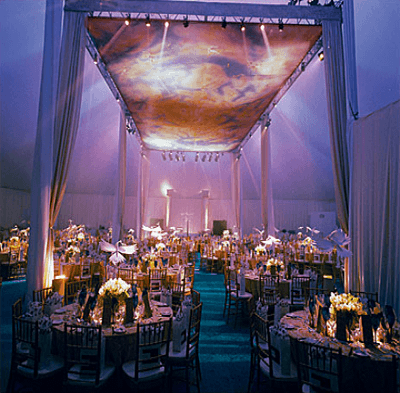 Genesis tenting, custom flooring, pleated walls, and opposing colored spotlights create a thrilling impression. 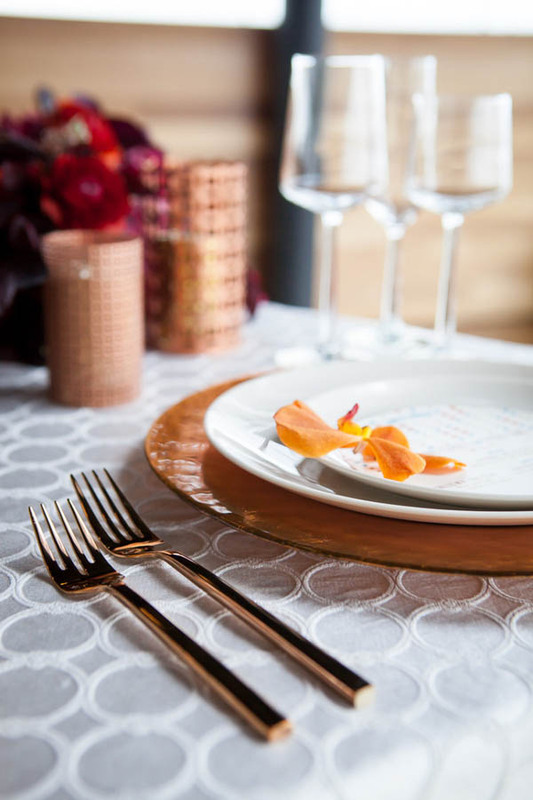 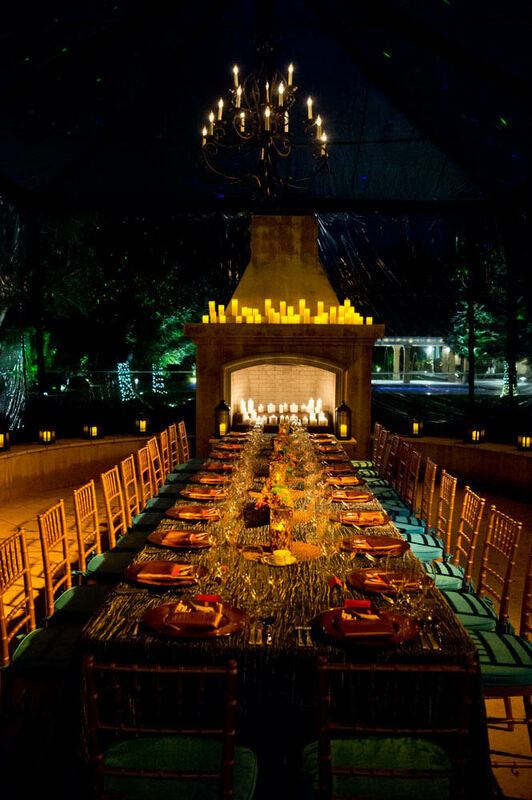 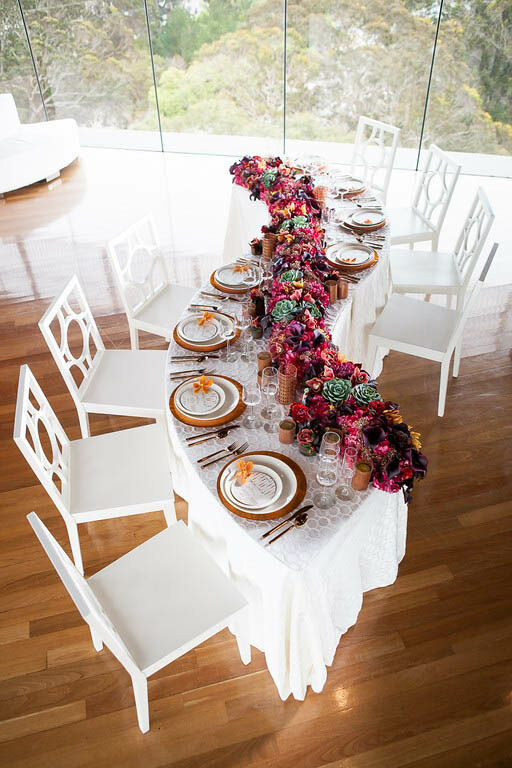 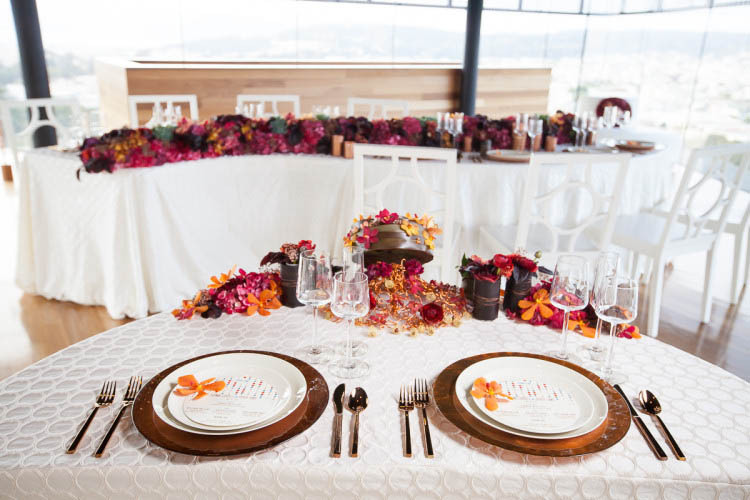 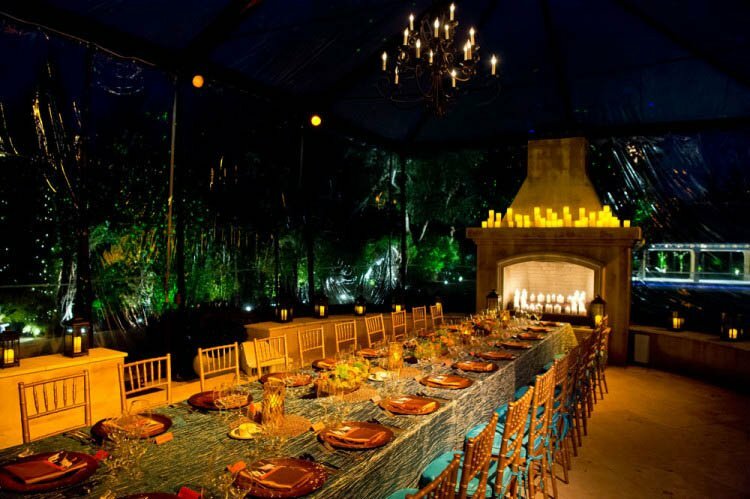 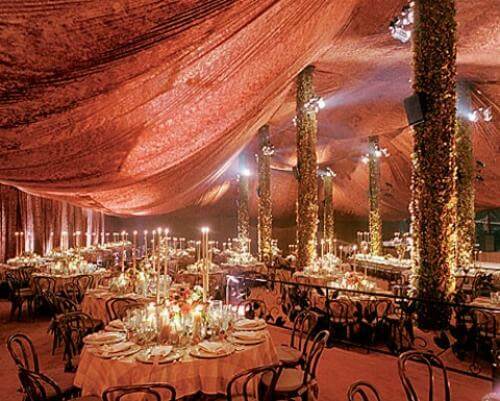 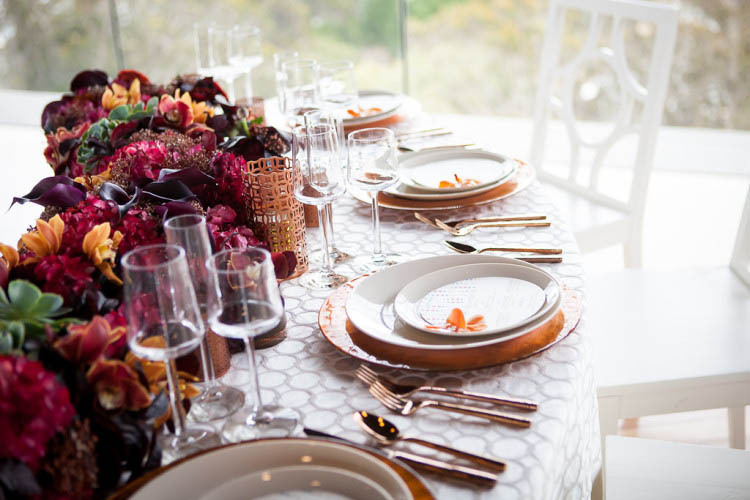 Abundant candlelight, low-hanging ceiling liners and tabletop splendor lavish guests in this romantic dinner venue. 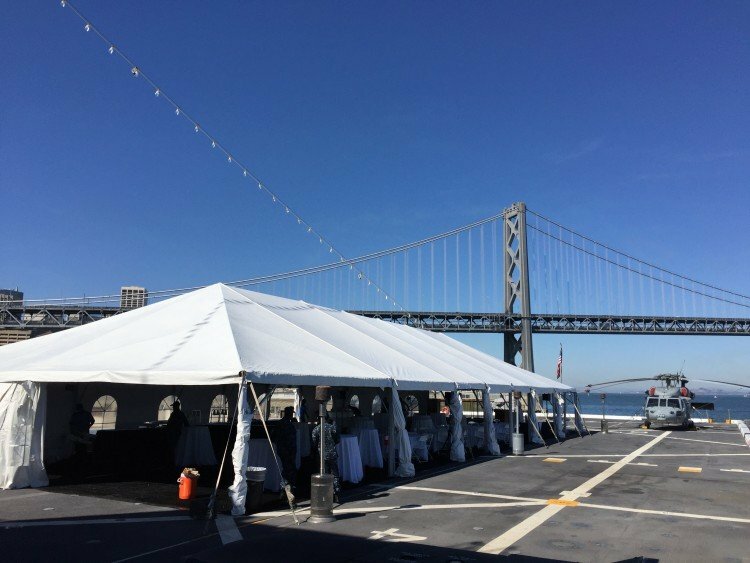 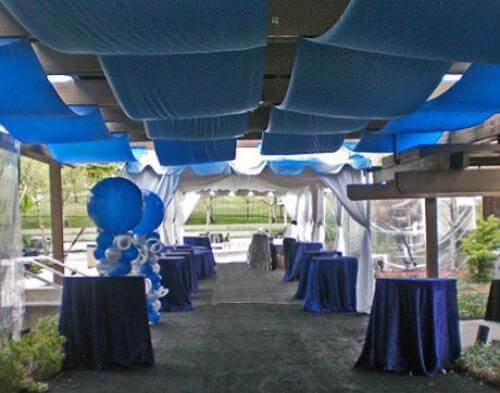 Swags of blue velon dance across a trellis like waves in an ocean inviting guests into a 15′ x 60′ tent at this corporate event. 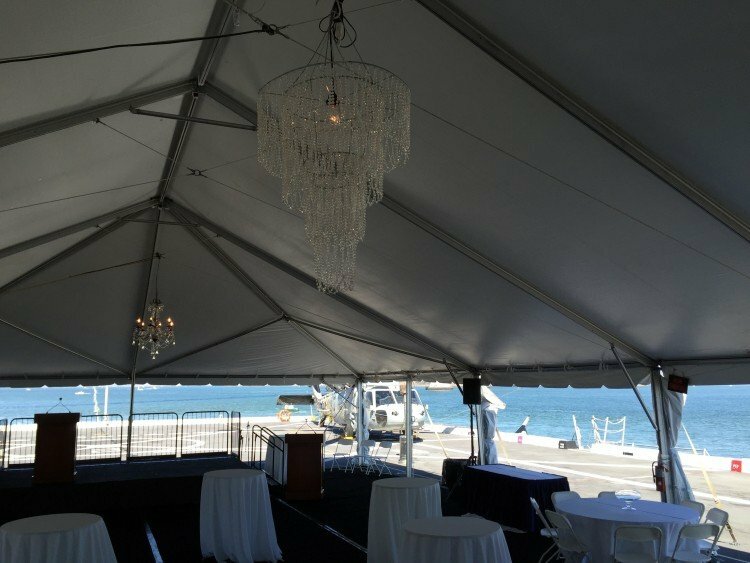 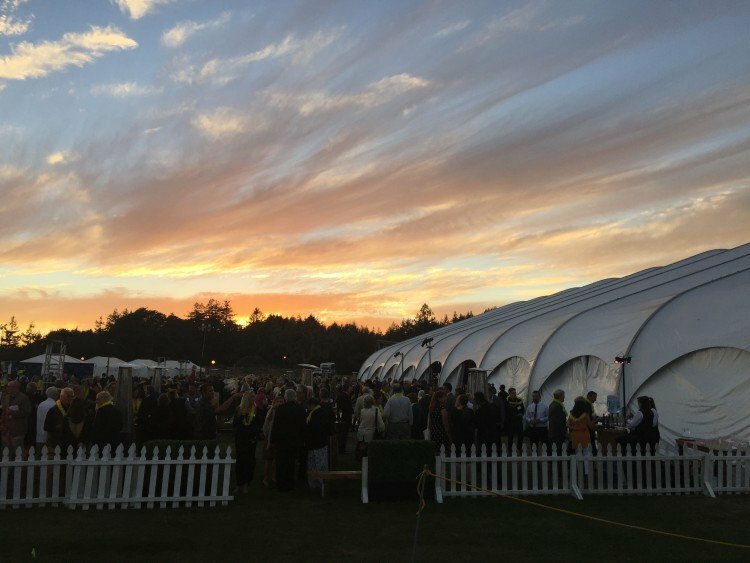 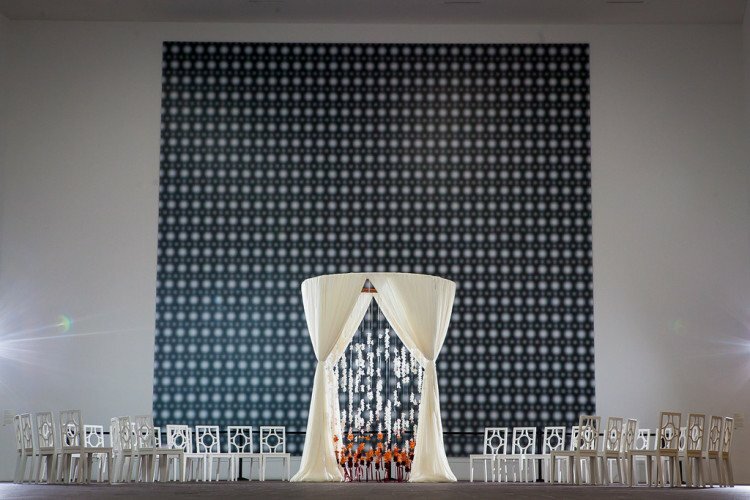 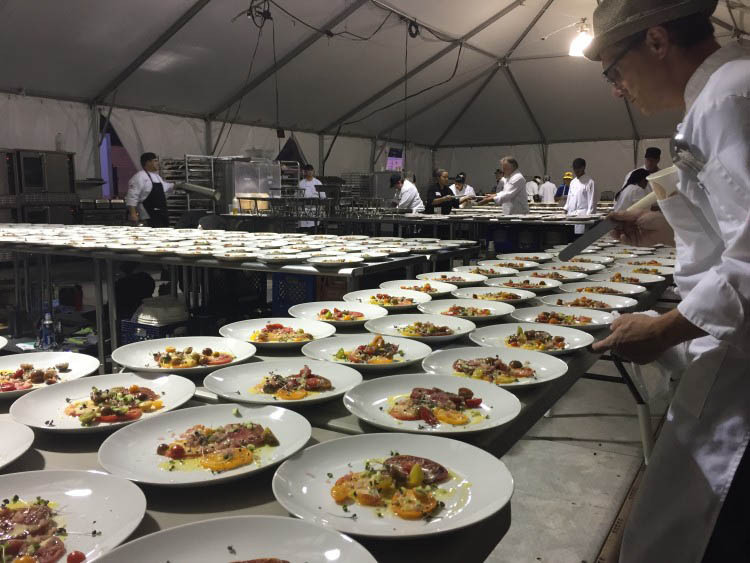 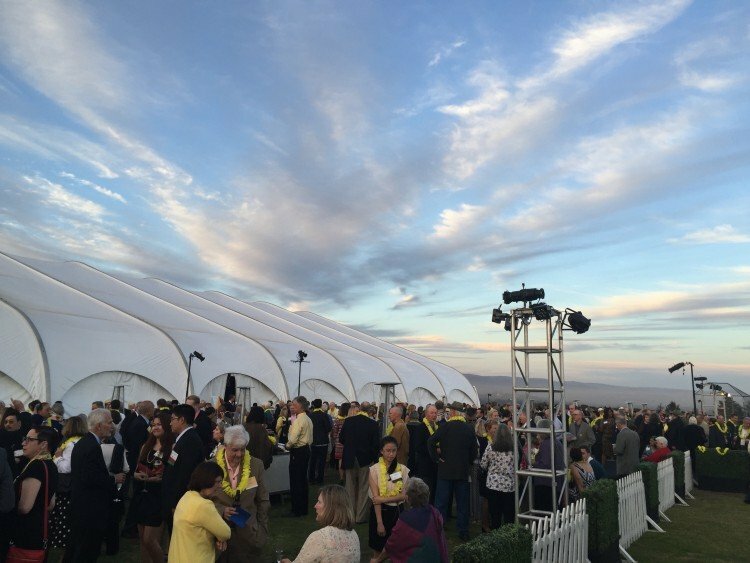 This main entrance is enclosed with clear walls helping to create a flowing atmosphere into the tent.